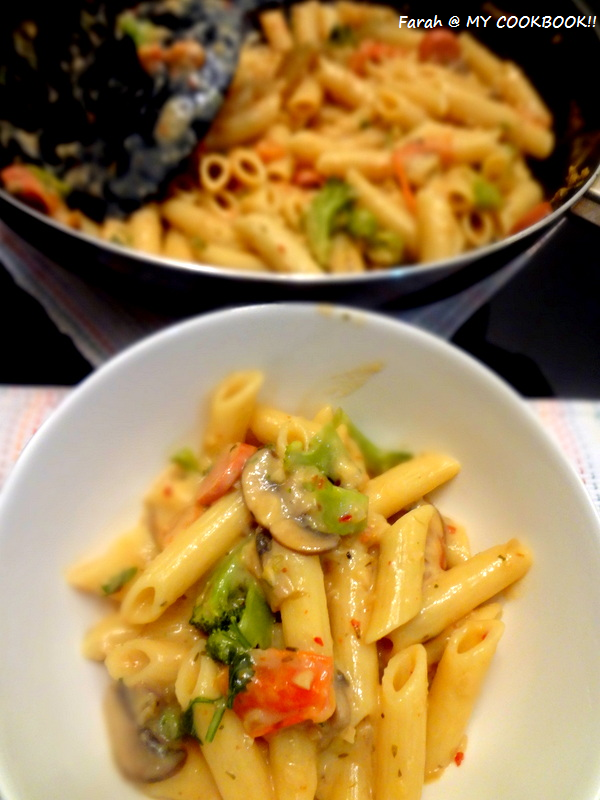 FARAH'S COOKBOOK: Broccoli and mushroom Pasta in Pink / white sauce- no fat version! 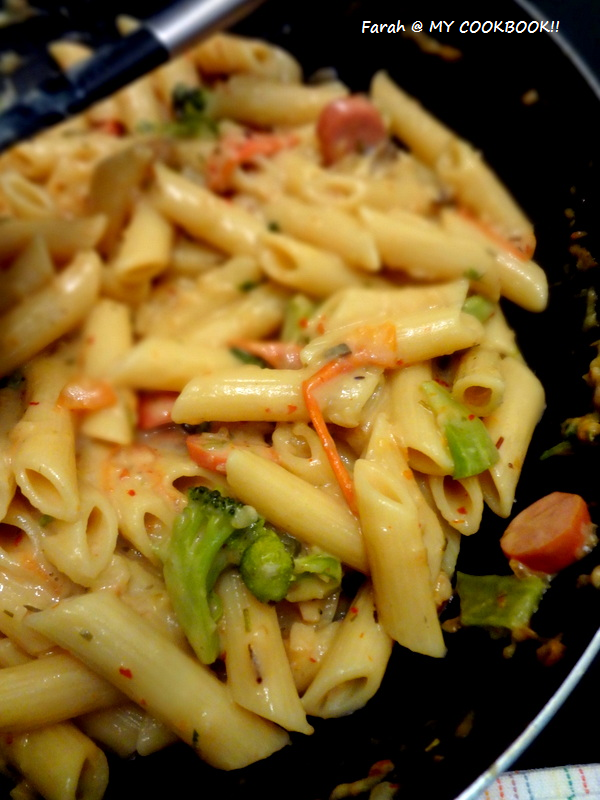 Broccoli and mushroom Pasta in Pink / white sauce- no fat version! This recipe was given to me by a dear cousin Neelu. She's a pro in cooking anything that crawls to walks to swims......LOL! This recipe was supposed to be posted ages ago.....but I wasnt able to take pictures, as my hungry husband could never wait till I took pictures...hmphh! This recipe can be made using any veggie of your choice. I love using black olives too for this recipe. This pasta recipe tastes soooo good and you can it without feeling guilty.....no butter, no cheese :) just the goodness of milk! I used low fat as well! Boil the pasta as per instructions on the pack . drain and keep aside. 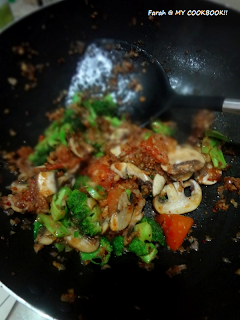 In a wok, heat some oil, Add the garlic and saute. dont let it turn brown. Add the onions. Saute till they soften and then add the tomatoes. 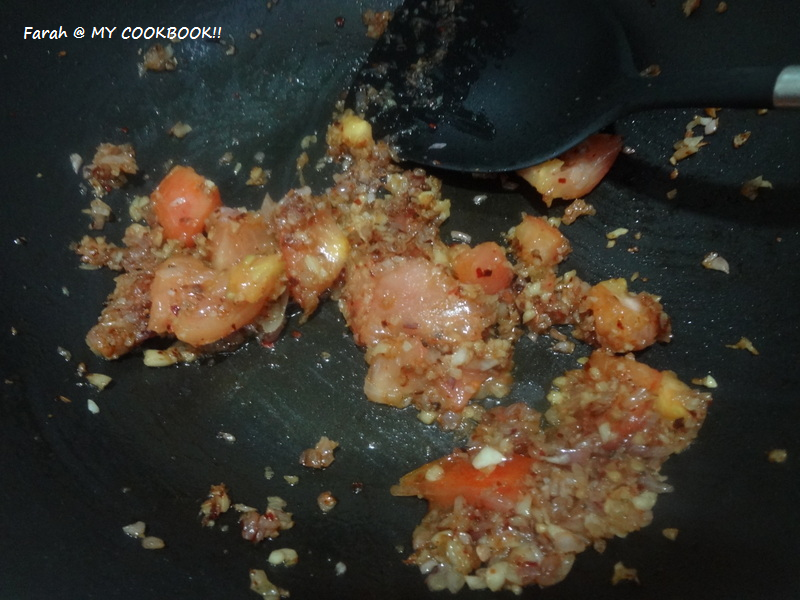 saute and poke the tomatoes so that they turn mushy and soft. Add the broccoli, mushrooms and sausaage if you are adding. Stir fry for about a minute or two. Add the chilli flakes. 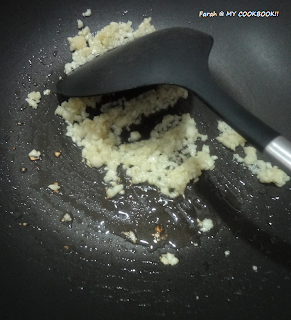 Add the flour and give it a good stir. 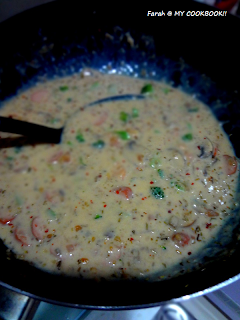 Add the milk , salt and the seasonings. simmer and the milk will start to thicken. When it starts to thicken add the chopped coriander and switch off the flame. When you are ready to serve add the required amount of pasta into the sauce and heat. If the sauce has thicken too much add more milk while heating. 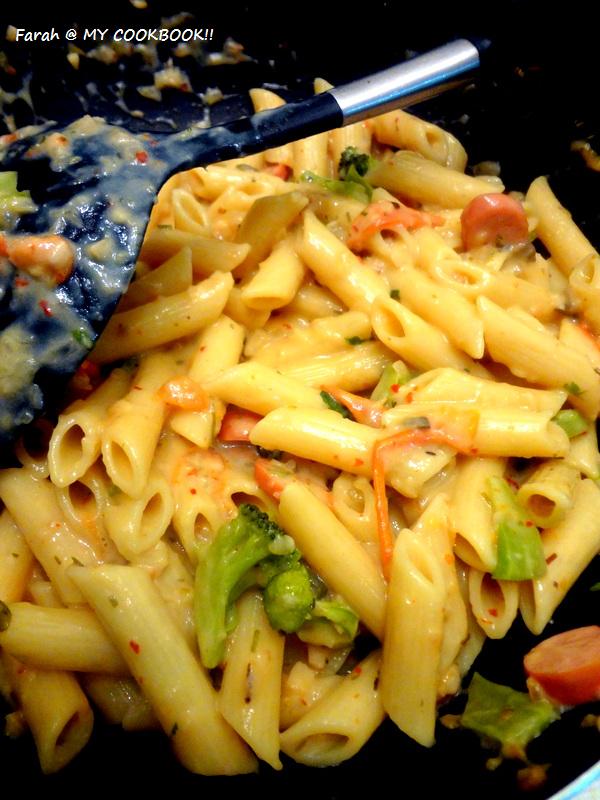 Add the pasta only before you are ready to serve. It absorbs alot of milk. The sauce thickens very quickly. So each time you want to serve just add milk and heat. wow!1 low fat.i am in!!! can u pass on the entire bowl to me, plz. looks really delicious... and low fat!! i'm for it!!! Interesting twist to for a pasta dish. The veggies are perfect for the crunch and the sauce for the explosion of flavors.